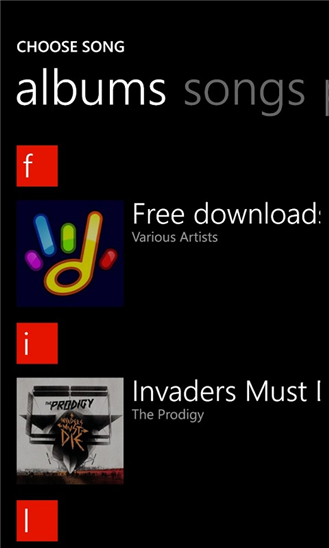 Nokia just released "Ringtone Maker" application, exclusively for your Nokia Lumia Windows Phone 7.8 and 8. 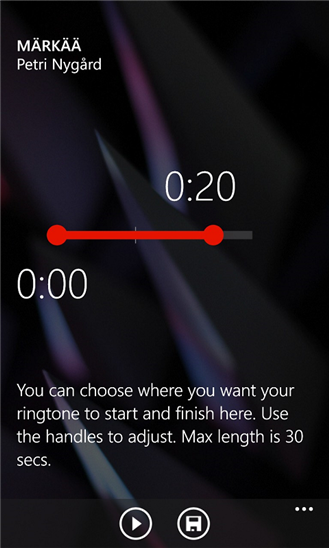 Create a 30 seconds ringtone from your music on your Nokia Lumia Windows Phone. 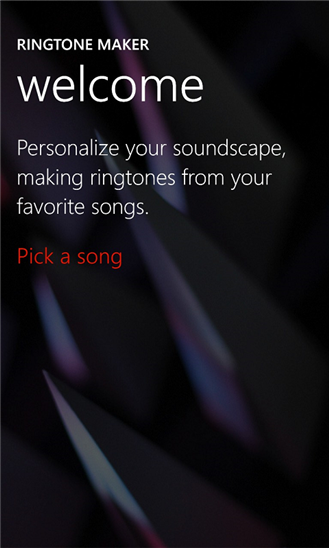 Just with 3 steps, your ringtone is ready to use by your Nokia Lumia Windows Phone 7.8 and 8.
" 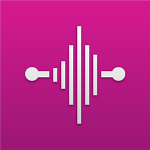 With Ringtone Maker you can create ringtones from the music on your phone. Simply open the app, select your favourite MP3 song and save it as a ringtone. You can cut your ringtone anyway you like, with editing controls that let you choose the start, end and length of your ringtone. "